This ending (with some variations) appears at the end of five Euripides plays: Helen, Medea, Andromache, The Bacchae, and Alcestis. This has caused some scholars to doubt their authenticity. It sometimes argued that this pro-religion bent was tacked on by an archivist trying to fight the humanist message of Euripides’ plays. And yet we have to remember that this repeated ending appears in Medea, a tragedy in which no deus ex machina saves Jason’s new wife or his children from Medea, and the literal god machine carries the murderous Medea and the bodies of her and Jason’s children away to Athens. In this case, the choral passage suggests that the gods condoned Medea’s behavior by allowing it to happen, even helping her escape. Jason and Medea: the early years. He is discovered and then destroyed by the hands of his mother and aunts who literally tear him to pieces. Pentheus’ mother brings his head back to Thebes to show off as a hunting trophy, unaware that she has killed her own son. She realizes it, and then we get this final choral passage, which in some ways suggests the cruelty of a young, popular god like Dionysus, and the danger of the mob and the majority. This comes to pass, the passage suggests, because we gave the gods their power and now we are helpless against them. The sad one at the center is Andromache. 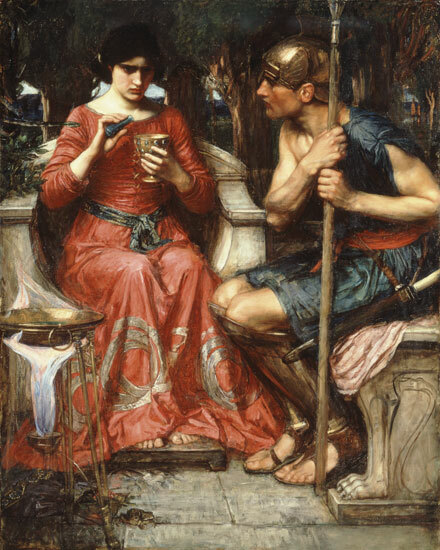 In Andromache, the heroic wife of Hector (and also a foreigner, like Medea) is forced into sexual slavery in the house of Helen and Menelaus’ daughter Hermione. Andromache and her son by Hermione’s husband only escape death at Menelaus’ hands thanks to the intervention of the troubled Orestes (subject of Aeschylus’ Oresteia) and the sea god Thetis. 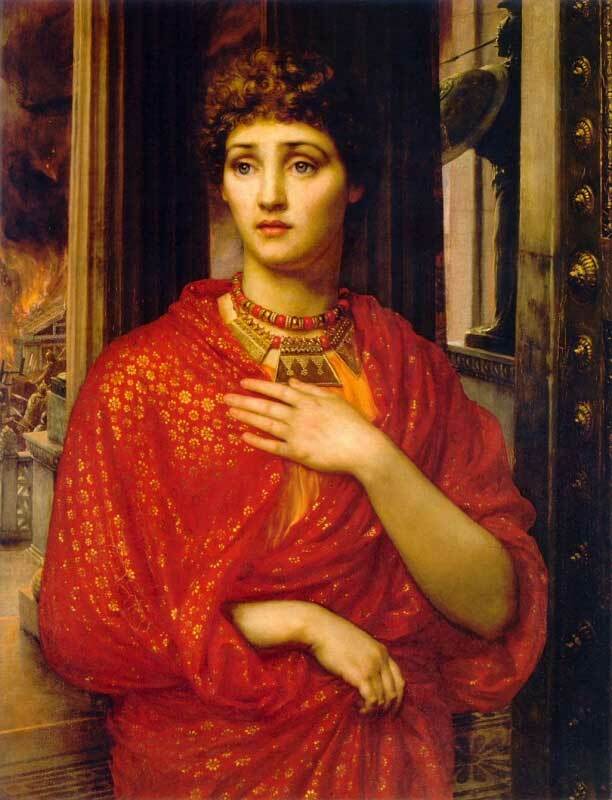 The gods may have saved Andromache’s life, but she’s still a slave and her son and beloved husband are dead. She did everything right and she’s still stuck in a foreign country at the mercy of the same men who killed the love of her life and her child. It’s enough to shake anyone’s faith. A war over little old me? Helen is about Helen trying to find Menelaus and then escaping a forced marriage, leaving the woman who helped her do so to be killed by the man she escaped from. Theonoe, the helper, is almost killed but she is saved by Helen’s divine brothers, Castor and Pollux, who descend to stop her suitor from killing his sister Theonoe and the whole (female) Chorus. In this case, the choral passage serves as a breath of relief for the Chorus, whose lives were threatened only moments before. But Euripides’ feminism is showing. The Chorus is a Chorus of captured Spartan women, and Theonoe is a high powered priestess, the brother of the king. Yet the most objectified woman in history is enough to make Theonoe’s brother turn on her and all his slaves, ready to slaughter them all because she got away. Is it really too much to hope for that this situation shouldn’t need divine (male) intervention? Is it too much to expect that women be treated as something better than dogs to be bought and sold and kicked when their owners are unhappy? We know that Euripides thought about these things because he consistently gives powerful and poignant speeches to female and lower class characters. (See the Maid and Servant’s speeches in Alcestis, which are written to garner more sympathy than many of Admetus’ bits of text.) He highlighted the oppression inherent to the hegemony of the system he lived within, which was based on privileged majority rule by citizens, who were only land owning, highly educated Athenian males. But Euripides went even further than sociology. With or without the reused choral passages, he created so much sympathy for his human characters that you can’t help but feel a little betrayed by the gods on their behalf. Iphigenia, Medea, Agave, they are all women who have been trapped by the roles they must play within their myths and within society. And if the gods created that scenario, they are to blame. In Alcestis, Euripides alludes to the rise of two new gods, Heracles and Alcestis herself, who is given divine and cult status because she escaped Death despite an order by the Fates that she (or Admetus) must die. he threw the hundred lives of Earth. so as to see nothing more than that smile. Hail Majesty, be gracious to us.